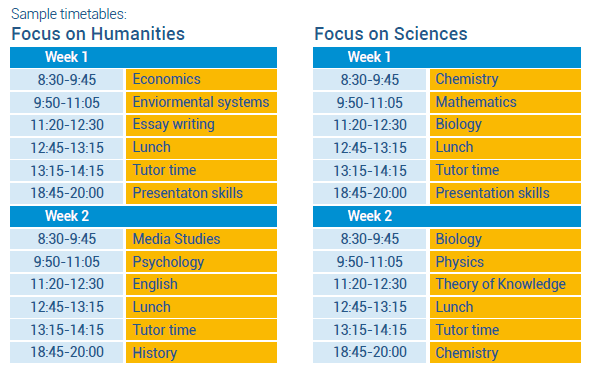 You have a choice of the following subjects and you will have four study blocks a week. You need to choose your subjects prior to the course. We will write the timetable around your choices and you will have an individual timetable which is written to meet your individual needs. Subjects offered depend on students' choices, so not every subject is available every week. We make every effort to give students their first choices. If you would like us to send you a curriculum showing more details of each subject then please email: info@academicsummer.co.uk.